After two intense weeks of activities and rehearsals in Slovakia and Poland, tonight 34 talented and handsome young men will hit the stage in Krynica-Zdrój, Poland, aiming to become the second Mister Supranational, succeeding Diego Garcy of Mexico, the first winner. The event will air live at 8 PM (GMT +1) and you can follow all the action on our Facebook Page or YouTube channel. 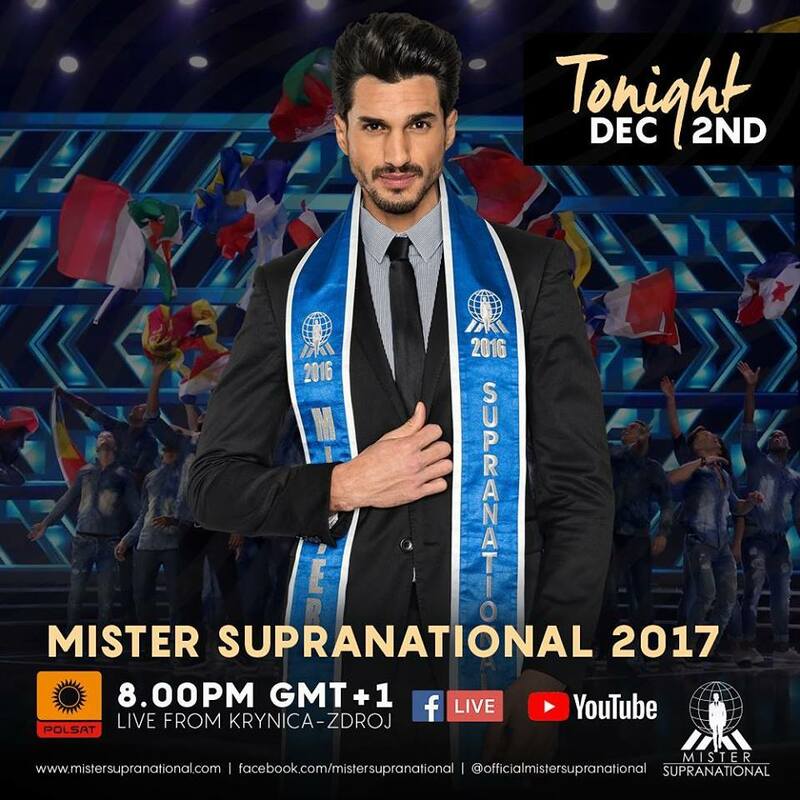 How will Mister Supranational 2017 be elected? Five preliminary scores based on how they were rated in the rounds of swimwear, evening wear, interviews, star quality and discipline/behaviour, were added to determine the 20 quarter-finalists. Partial scores will be displayed during tonight´show. After the 20 quarter-finalists are announced, they will all go back to zero and start competing again on equal footing. The celebrity judges will pick 9 of 10 semi-finalists (the 10th choice comes from the Vodi Fan vote), the winner and 4 runner-ups. The judges for the final gala are: Halina Mlynkova, model Ewa Zakrzewska, Mister Supranational 2016 Diego Garcy, fashion designer Claudius, Catalin Botezatu, personal trainer Luiza Avagyan, television presenter Agnieszka Hyzy, Miss Brazil CNB 2008, Ford model and columnist Tamara Almeida, Miss Polski 2015 Magdalena Bienkowska, President of Nowa Scena Gerhard Parzutka von Lipinski, and the just crowned Miss Supranational 2017, Jenny Kim, of South Korea. The show promises lots of dancing, fashion and adrenaline! Eurovision sensation Michał Szpak will sing his hit "Color of Your Life", and in the end, of course, Diego Garcy will handle the title of Mister Supranational to a new title holder. It´s tonight, and you don´t want to miss it! Who will be Mister Supranational 2017?